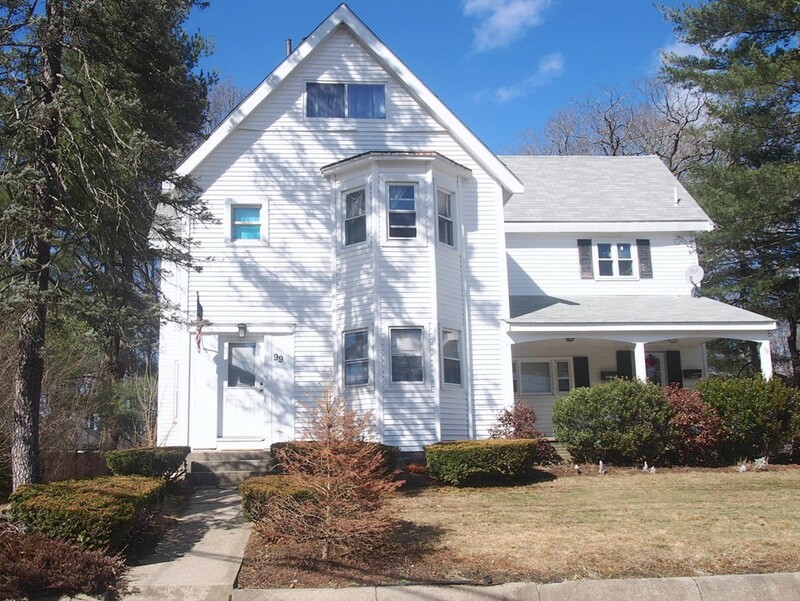 Welcome to this large Multi-family property within walking distance to Natick Center, Commuter Rail, Natick Common, shopping and restaurants. Property includes a 2 stall garage and off street parking. Unit 1 consists of 5 rooms, 2 bedrooms, dining room, living room, kitchen and porch. Unit 2 consists of 6 rooms, 3 bedrooms, living room, dining room, kitchen and deck. Unit 2 also includes a 3rd floor apartment known as 2B which has 3 rooms, bedroom, living room and kitchen. This property is a legal 2 family being used and taxed as a 3 family. American Home Shield home warranty available to buyer. Selling Office: Pyramid Realty, Inc.